Charles Forsdick (University of Liverpool) recently reviewed Rethinking Postcolonialism in the journal French Studies (published by Oxford University Press on behalf of the Society for French Studies). Author: Charles Forsdick, French Studies (2011) 65 (4): 559-560. “[…] Amar Acheraiou posits the concept of “rethinking postcolonialism” as a means to reconsider and re-evaluate literatures produced during the period of colonization, to reconfigure oneself as a postcolonial subject, and to render arbitrary the politically determined boundary between colonialism and postcolonialism, like the critically determined boundary between modernism and postmodernism, and thus to expand postcolonialism’s historical and cultural capacity. Rethinking Postcolonialism: Colonial Discourse in Modern Literature and the Legacy of Classical Writers is distinguished by the scope of its subjects, ranging from Conrad to Gide, Kipling to Camus, in the context of an actual colonialism, as distinguished from a historicized one. Acheraiou’s rethought colonialism is more a personal interpretation of a human tendency to dominate members of their own species than a conventional postcolonial theory of literature, oral production, art, and culture, because Acheraiou prefers to see colonialism as “an immemorial phenomenon” (3), as distinguished from the time-specific phenomenon of various hegemonic European empires in the New World over the past five hundred years. Thus, in the arc of his discussion he addresses how classical writings have influenced colonial discourse over the last two centuries and how constructs of modernism and empire are interrelated. Devoting only two of his eleven chapters to the almost obligatory betes noirs of Conrad’s Almayer’s Folly and Heart of Darkness, Acheraiou leaves himself room to address the more compelling questions of rethinking a postcolonialism that may never have been thought through in the first instance and recovering thoughts of colonialist discourse. His theory of postcolonialism is ideologically expansive and culturally inclusive, historically bold, and reminiscent of empire in that he reminds readers that colonialism has never ended and may be a universal system without an end boundary. Much of his discussion pertains to imperial ideologies, attitudes, and practices as informing specific works of literature and as evident textually. His commentary on the texts is insightful and engaging in its didactic energy. For example, on the titular character in Conrad’s story “Karain: A Memory” (1897), he observes, “The ghost-ridden, superstitious Karain is a prototype concentrating the Malays’ features. He is made paradigmatic of his race, culture and environment typifying the very Malay essence and tropical nature. In semiotic terms, Karain becomes a mere metonymy–the part that represents the whole–mirroring his own people. He is reduced to a generic type, organically connected to his cultural and geographical milieu” (43). The subtle rhetorical transitions apparent here, from prototype to paradigm and metonym, and from race, culture, and environment to cultural and geographical milieu, are typical more of Acheraiou’s pedagogy than of his style of writing. 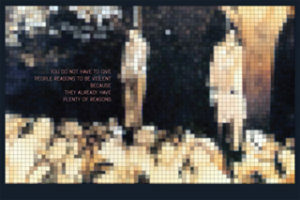 Pedagogical rhetoric marks an important property of this book, in that Acheraiou, rather than simply theorizing about “rethinking postcolonialism,” engages his readers in a discourse that instructs in and even fosters new modes of thought distinct from the conventional outcome of a convincing scholarly argument. In reference to Ulysses, Acheraiou positions Leopold Bloom in a colonial paradigm but not as an imposition of his thesis: “The choice of Bloom as a protagonist of a novel that addresses the genesis of colonialism is in this case very appropriate. Owing to his dual identity (Irish citizen of Jewish descent) Bloom stands for the portrait of the colonised par excellence, enacting a modern Irish colonial subject and an ancient colonised Israelite. As such, he connects modern British imperialism to the most ancient imperial power, the Egyptians” (106). Rather than merely arguing that Bloom is an imperial subject, as by acknowledging his “choice” and the appropriateness of his “case,” Acheraiou concedes that Bloom “stands for the portrait of the colonised” in the manner of a metonym. By inviting readers to consider Bloom according to a new model, as an imperial subject, Acheraiou actually draws attention away from Joyce’s protagonist to “the portrait of the colonised,” to the prototype he discusses throughout the book. Rather than rethinking Bloom, or indeed Ulysses, readers rethink colonialism by forging a continuum between two colonial powers, British (a present type) and Egyptian (an ancient prototype). Although I already know what I think about the boundless continuum of colonialism, Acheraiou’s new models of “rethinking postcolonialism” provide welcome alternatives to what I must now concede is always already known: his pedagogical rhetoric has some efficacy. The rationale of his paradigm of rethinking thought through “rethinking postcolonialism” is not simply instructional, however. In addition his paradigm emphasizes how colonizers, including some colonial writers, drew on ancient colonial models such as Egypt, Greece, and Rome. Paul Matthew St Pierre, “Some self-reflections on colonialism and postcolonialism,” English Studies in Canada 35.2-3 (June 2009). In June 2010, The Year’s Work in English Studies released reviews of Rethinking Postcolonialism in sections “XIII – The Nineteenth Century: Victorian Period” and “XIV: Modern Literature”. In the section XIV devoted to Modern Literature, Aaron Jaffe states: “For specialists in the life and work of E.M. Forster and Joseph Conrad, 2008 offered a dizzying variety of book-length monographs, new annotated editions and inventive critical essays. […] Amar Acheraiou’s Rethinking Postcolonialism: Colonialist Discourse in Modern Literatures and the Legacy of Classical Writers interrogates postcolonial discourse analysis and posits a new model of interpretation that resituates the historical and ideological resonance of the ‘colonial concept’. In chapters on Forster and Conrad he questions key issues, including hybridity, Otherness and territoriality. Acheraiou is convincing when showing that hybridity as both a theoretical tool and a historical construct is not ‘a linear, flat narrative of cultural exchange’ but a ‘twisted, multilayered imperial tale’ of ‘forced encounters and unequal relationships’ (p. 2). However, Acheraiou’s contention that Forster and Conrad each held ‘an idealised image of Greece’ (p. 82) is counterbalanced by enigmatic ambivalence towards ancient Greek culture. The reading of Forster’s 1903 story ‘Albergo Empedocle’ presents ‘ancient Greece as a rampart against modernity’s discontents’ while at the same time pointing towards its ‘impotence’ as a fund of ‘aesthetic and ideological’ rehabilitation (p. 83)” (Jaffe, p.18-19).